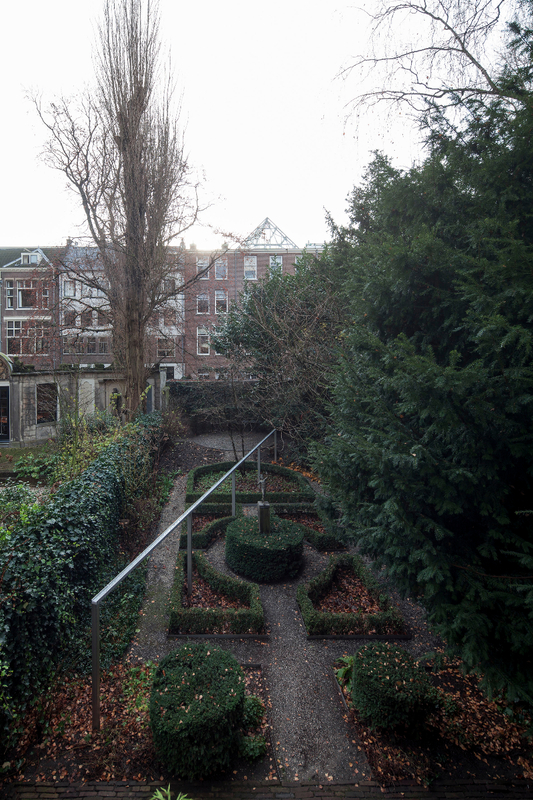 DutchCulture and Manifesta office share their offices at Herengracht 474 at the ‘Gouden Bocht’ in Amsterdam. 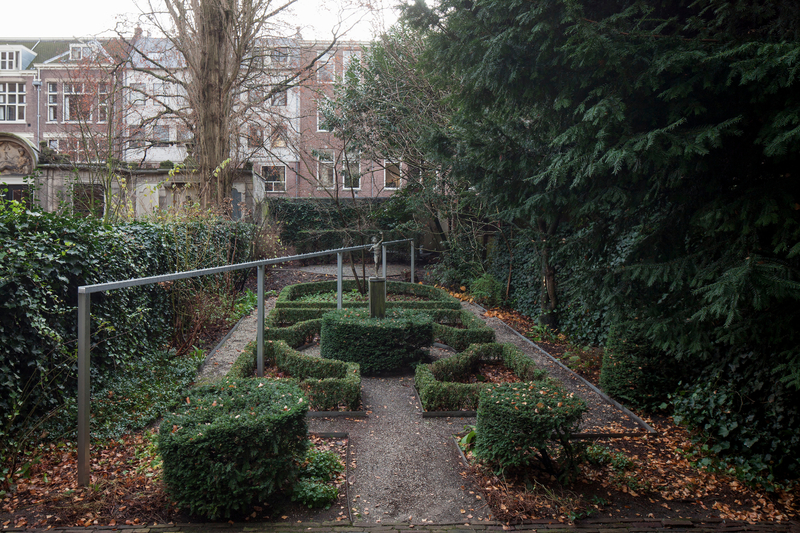 The classic canal house used to be in use by the RIOD, the Government Institution on War Documentation. Since two years the present tenants invites a different Amsterdam art gallery to make an exhibition with its artist in the building. 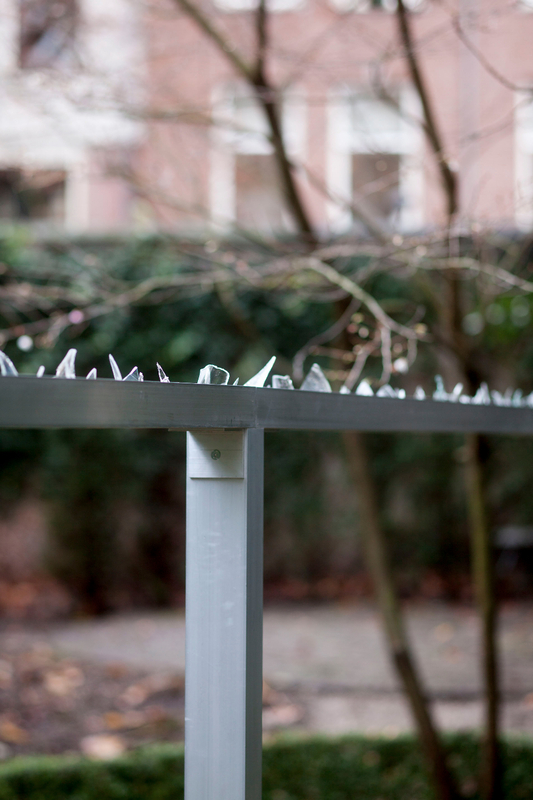 Stigter van Doesburg presented their artists in winter / spring 2014/2015 in the exhibition ‘How soon is now?’. 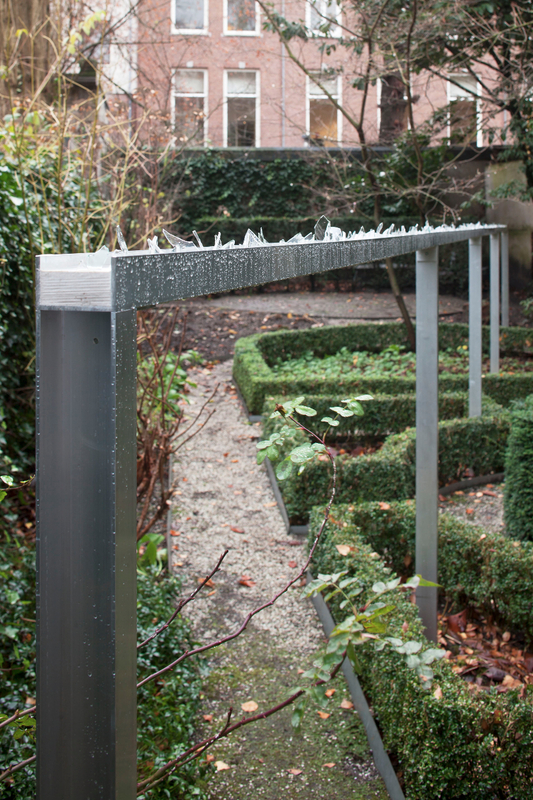 For the symmetrical English style garden I installed a 12-meter long aluminium line with pieces of broken glass. 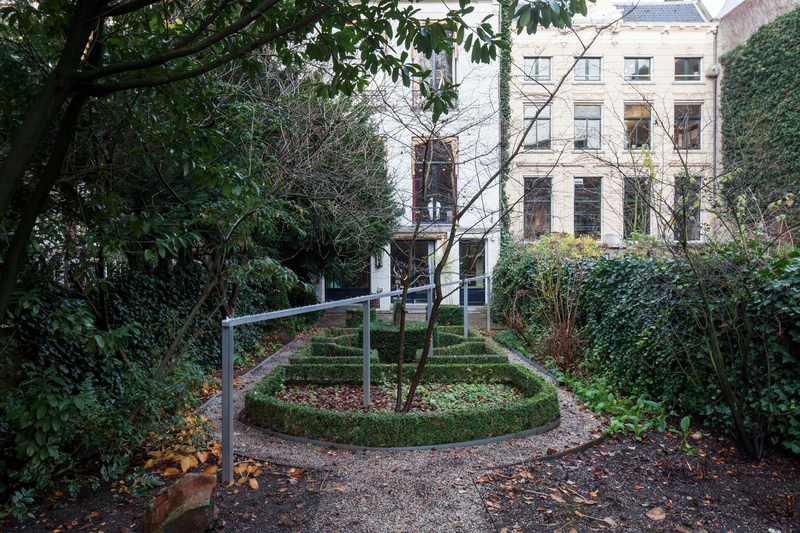 The line cuts through the garden diagonally and forms – with its height of 1,30 meter – an obstruction. 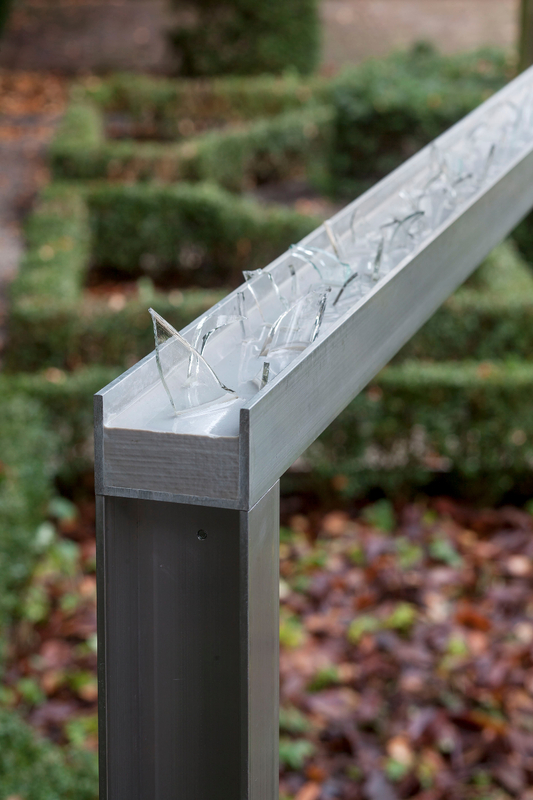 The harmless dysfunctional use of DIY safeguard as in the well-known use of shards of glass in concrete on a wall to protect private property works on a different level in this designed garden. 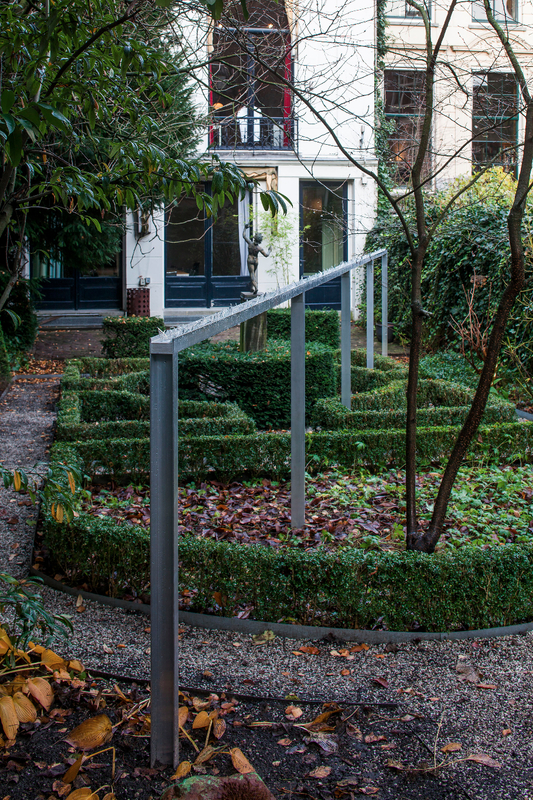 Both denying the garden design as a sign of wealth and elite it emphasizes it’s symmetrical set up by rudely cutting through. On a different level is refers to the former user of the building, the RIOD. War and violence comes along with the need of protection and security. The DIY version stays close with the way artist works and counters the socio-economic history of the place.